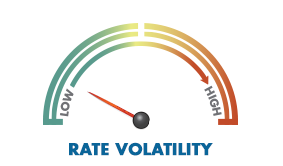 The Fed raised policy rates this week by .25%, as was widely anticipated. 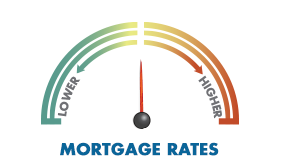 The increase could actually help mortgage rates by fighting inflation. Falling oil prices continue to help keep inflation at bay. The Fed viewed the low prices as temporary, so it did not affect their rate policy decision. The latest jobless claims numbers were down, suggesting sustained labor market improvement. A strong labor market is good for the housing market. Housing starts surged 10.5% in November, continuing a trend of housing market improvement. Starts of single-family homes reached a nearly eight-year high. Building permits, a bellwether of construction in coming months, were also up. Permits rose 11% from October and were up 13.4% year-over-year in November. Some builders were slightly less optimistic about the housing market in December. However, tight inventory and high prices continue to induce buyers. What do you call people who are afraid of Santa Clause? Licensed by the Department of Business Oversight under the CRMLA. This entry was posted in Uncategorized on December 26, 2015 by KSToth. 1 O LORD, my heart is not proud, nor my eyes haughty; Nor do I involve myself in great matters, Or in things too difficult for me. 2 Surely I have composed and quieted my soul; Like a weaned child rests against his mother, My soul is like a weaned child within me. As this season of Advent begins, it is wise to reexamine our hearts with regards to prayer. Do you hurry through your quiet time so you can get to other things? If so, consider the values Jesus modeled for us in His practice of setting apart time to spend with His Father. Solitude. Though the Lord was constantly surrounded by people as He tended to their needs, He also understood His own need for seclusion. Often, after an intense period of ministry, He would retreat from the crowds—and even His disciples—to pray in private. Safeguarded time. No matter what else was going on, Jesus made it a point to protect periods of time so He could rest in the Spirit, focus on His relationship with the Father, and build up His physical and emotional strength. Even when people were clamoring for Him, Jesus made it a priority to safeguard this time, knowing that His ministry would flow from it. Stillness. What does it means to be still? Psalms 46:10 calls us to stillness with these words: “Cease striving and know that I am God.” To learn this perpetual inner peace, periodically stop everything you’re doing, and simply let your soul become aware of the Holy Spirit’s presence. In today’s reading, David described it as the state of a “weaned child” who is at perfect rest and happy just to be in his mother’s arms. If you make these a priority, you will reap tremendous benefits. Doing so may seem challenging. But when you quiet your heart before the Lord, you’ll discover how much you need the peace of His presence. It is a priceless gift. This entry was posted in Uncategorized on December 1, 2015 by KSToth.